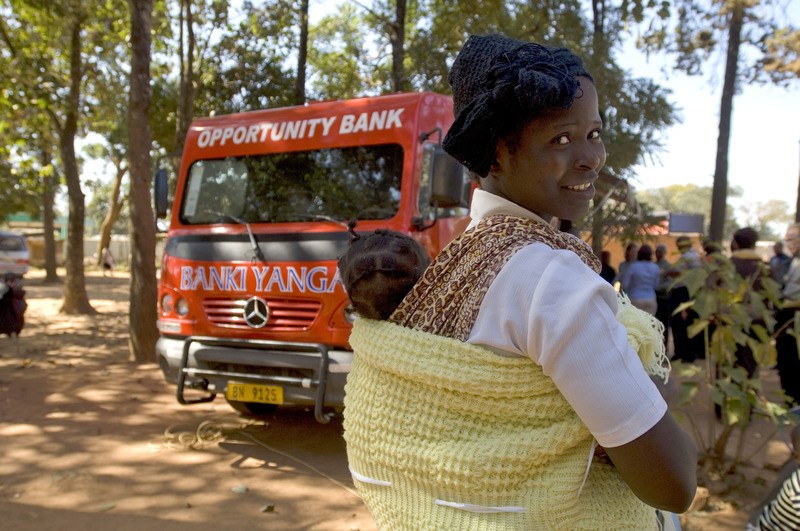 Mobile banking vehicle providing access to finance for rural people in Malawi. Credit, Gates Foundation. Agricultural finance is the provision of multiple types of services dedicated to supporting both on- and off-farm agricultural activities and businesses including input provision, production, and distribution, wholesale, processing and marketing. The market demand for smallholder agriculture finance is US$450 billion, most of which is unmet. Without access to credit, most smallholders are restricted to farming practices that result in low levels of productivity. Although many new types of formal financial institutions have spread to the rural areas of developing countries, the majority of smallholders have limited or no access to them. Farm surveys often show that less than 1 in 10 smallholder farmers is eligible for a commercial loan from a bank or other financial organisation. Due to its inherent risky nature, the availability of formal financial services dedicated to the needs of smallholders is limited. The provision of credit in poor, rural areas where the risks are high and the returns low is unattractive to financial service providers. Typically such loans are very small and require careful attention and hence are very costly to service. Farmers, and especially women and young people, many who do not have formal ownership of their lands, have little to offer in the form of collateral. The traditional alternative of a money lender, can be extremely risky for a resource-poor farmer as the loans are charged at very high rates of interest contributing to increasing challenges of indebtedness. Microfinance for farmers. Credit, One Acre Fund. The development of self-help and savings and loan groups has been one answer to this challenge; microfinance is yet another. Microfinance institutions (MFI’s) develop their products for low-income households and individuals. Whilst MFIs are driving the growth and accessibility of rural, especially agricultural, financial services, their market share is still small. Most have focused on urban and peri-urban clients and rural areas with high population densities, leaving many rural areas and farmers still lacking access to credit. Value chain financing is defined as the flows of funds to and among the various links within a value chain. The system allows borrowers to benefit through higher lending at better terms and obtain loans that reflect the cash flow pattern of their producing, processing or trading activities. The Caisse des Affaires Financières (CAF) in Isonga, Northern Rwanda, is example of successful value chain financing. The CAF introduced production and marketing loans, voucher systems and leases for transport that ultimately led to productivity increases of approximately 30% between 2007 and 2008. Furthermore, all farmers in Isonga now have bank accounts and the farmers’ cooperative was able to acquire a truck to reduce transport costs. Financing and credit are required to form viable farming businesses at all stages of enterprise development.With access to credit, farming households are more financially stable and food secure. Credit allows farmers to expand their activities to develop or diversify their livelihoods in part by investing in inputs to improve their productivity. Further, farmers may also rely upon credit to support their households and buy food before harvest, diversify their incomes, overcome shocks, and meet a number of different needs such as paying for children’s schooling or medical fees. Credit is also essential for creating the technical and operational capacities needed for improved resilience. Without credit, smallholder farmers can’t invest in sustainable agriculture methods that may require initial upfront costs, for example programmes to prevent soil degradation or conserve water. Farmers cannot easily diversify their incomes or take risks that could lead to better land management and increased income. ‎Ecological Intensification requires fundamental changes in farming practices and investment in learning new methods. Therefore credit is an essential foundation to enable smallholder farmers to convert to more sustainable agricultural practices. Women and young farmers have particular problems accessing finance, often as a by-product of a lack of secure access to land to use as collateral. Rural financial services have largely been designed and implemented with the male head of household as the intended client, and do not take into account women’s differing legal and social positions, despite that women are economically active in farming. Women are also disadvantaged when financial institutions consider them less experienced and therefore less attractive clients, in particular when an institution does not fund the type of activities typically run by women or when it does not accept female guarantors. As clients, women are sometimes undesirable to financial institutions because they have lower levels of literacy or limited exposure to secondary languages in which policy documents may be provided, making it difficult for them to understand the terms and conditions being offered. In order to improve access to credit for smallholder farmers, a general public policy framework for risk management must be established. Loan Guarantee Funds protect the lender by covering a share of the default risk of the loan to individuals and groups that do not have access to credit. One study found that the Agricultural Credit Guarantee Fund (ACGS) established by the Federal Government of Nigeria had a positive impact on crop production, livestock and fisheries, as well as agricultural productivity. Further, 92% of beneficiaries reported an improvement in the nutritional status of their family since obtaining their loans. Another example is the Alliance for a Green Revolution in Africa’s (AGRA) Innovative Financing Facility that uses a guarantee mechanism to encourage lending by commercial banks to smallholder farmers. As a result, US$17million in loan guarantees has leveraged US$160 million in loans that support the sector across Africa. The Central Bank of Nigeria established a US$300 million risk sharing facility – the ‘Nigeria Incentive-Based Risk Sharing System for Agricultural Lending’ (NIRSAL) – to reduce the risk of lending by banks to farmers and agribusinesses. NIRSAL plans to reduce interest rates from 14% to 7.5%-10% and share risks with banks by lending to private seed and fertiliser companies and agro dealers. In 2013 it was anticipated that this would make agricultural inputs available to 3.8 million smallholder farmers across the country by 2020., In 2012, according to data released by the central bank, credit to the agriculture sector rose to 3.7% from the 2% in the past five years. Microfinance is not structured to meet the financial needs of smallholder farmers. The seasonal nature of agricultural production makes famers highly dependent on the availability of long-term credit, for a minimum 6 months or more. However, most microfinance institutions offer cash loans on strict, much shorter repayment schedules. Microfinance could be improved by developing flexible lending to suit the cash flow of farmers. 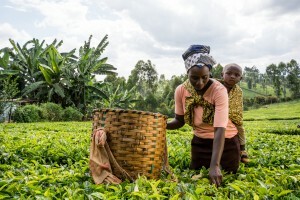 One Acre Fund (OAF) has designed asset-based financing (lending secured by an asset, such as machinery or equipment) and a flexible repayment schedule for smallholders in Kenya, Rwanda, Burundi and Tanzania. Asset based lending also lowers risk and reduces the need to assess credit worthiness. Warehouse warrantage systems secure access to credit by allowing farmers to use their crop as an asset. Farmers deposit their crop at harvest and have the option to either obtain partial payment for the crop directly, access to microfinance using the crop as collateral, or wait until the market prices improve before selling. Cooperatives are well placed to engage in such schemes, as most smallholder farmers are not in the position to meet the volume requirements typical of more warehouse warrantage systems. There is also scope for community based finance innovations. Smallholders can organize their common funds though cooperatives to accumulate their savings and make collective investments. 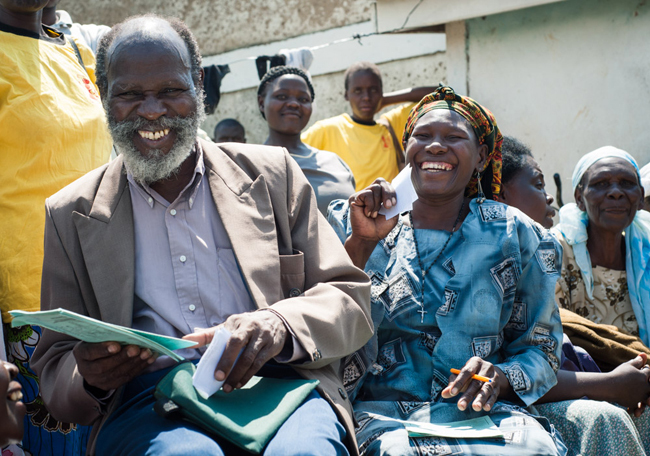 Saving for Change (SfC) is a savings groups programme, designed by Oxfam America, Freedom from Hunger, and the Strømme Foundation, that increases resilience and financial assets. SfC trains groups of women in rural villages to save regularly, borrow from their group’s fund, and repay loans with interest. At the end of a saving cycle—generally a year—the fund is divided and each woman receives her savings plus a share of the profit. Groups schedule distribution for a critical time, such as the onset of the hungry season, when money is scarce. Members in West Africa also learn about malaria prevention and treatment. At the close of 2012, SfC had nearly 680,000 members in 13 countries. Poor access to credit or other forms of finance impede farmers’ from taking greater risks and investing in on-farm improvements or new technologies. Many ‎ecological approaches to improve natural capital such as water conservation, ‎multiple cropping or ‎microdosing, all require upfront investments in supplies, knowledge and labour. The benefits, although enormous in some cases with respect to improved soil fertility and overall productivity, may only be realised over time. In many cases, the right incentives such as land tenure, access to markets as well as financial services are not available. In the absence (or in addition to) reliable and affordable access to financial services, payment for ecosystem services (PES) may encourage resource poor farmers to try out more sustainable methods of production. PES is a mechanism that rewards landholders and communities for managing their ‎natural resources more sustainably – such as through carbon sequestration, maintaining water quality or protecting biodiversity – while sharing the costs with those who benefit. PES schemes can provide farmers with new sources of income and allow for the development of new markets. However, farmers may need to organise into groups such as cooperatives to reach targets and lower transaction costs. Carroll, T, Stern, A, Zook, D, Funes, R, Rastegar, A & Lien, Y 2012, Catalysing Smallholder Agricultural Finance, Dalberg Global Development Advisors, Available from: <http://dalberg.com/documents/Catalyzing_Smallholder_Ag_Finance.pdf> [9 July 2015]. Wiggins, S & Keats, S 2013, Leaping and Learning: Linking smallholders to markets in Africa, Agriculture for Impact, Imperial College & Overseas Development Institute, London. International Fund for Agricultural Development (IFAD) 2010, Rural Poverty Report 2011: New realities, new challenges, new opportunities for tomorrow’s generation, Quintily, Rome. Meyer, RL 2013, ‘Microfinance and Agriculture: Challenges, Successes, Prospects’ in: eds. JP Gueyie, R Manos, & J Yaton, Microfinance in Developing Countries Issues, Policies and Performance Evaluation, Palgrave Macmillan, Basingstoke and New York, pp. 199-226. The World Bank 2013, Growing Africa: Unlocking the Potential of Agribusiness, The World Bank, Washington, DC. Fletschner, D & Kenney, L 2011, Rural women’s access to financial services Credit, savings and insurance, ESA Working Paper no. 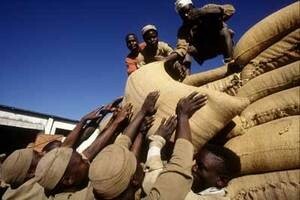 11-07, The Food and Agriculture Organization of the United Nations (FAO), Rome. Fletschner, D 2009, ‘Rural Women’s Access to Credit: Market Imperfections and Intrahousehold Dynamics’ World Development, vol. 37, no. 3, pp. 618-631. Fletschner, D & Kenney, L 2011, Rural women’s access to financial services Credit, savings and insurance, ESA Working Paper no. 11-07, Food and Agriculture Organization of the United Nations (FAO), Rome. Miller, C (ed.) 2013, Four case studies on credit guarantee funds for agriculture, FAO, Rome. Zander, R, Miller, C & Mhlango, N 2013, Credit guarantee systems for agriculture and rural enterprise development, Food and Agriculture Organization of the United Nations (FAO), Rome. Uhiene, S 2012, Highlights of the Nigeria Incentive based Risk Sharing System for Agricultural Lending (NIRSAL), Presentation at the 8thCAADP Partnership Platform on “Accelerating Implementation for Results and Impact”, Hilton Hotel, Nairobi, Kenya, 3 –4 May, Available from: <http://www.nepad.org/system/files/Nigeria%20NIRSAL%20Presentation%20in%20Kenya%20CAADP%20PP.pdf> [9 July 2015]. This Day Live 2013, A look into NIRSAL’s Contricution to Agric Transformation Available from: <http://www.thisdaylive.com/articles/a-look-into-nirsal-s-contribution-to-agric-transformation/155682/> [9 July 2015]. Jessop, R, Diallo, B, Duursma, M, Mallek, A, Harms, J & van Manen, B 2012, Creating access to agricultural finance based on a horizontal study of Cambodia, Mali, Senegal, Tanzania, Thailand and Tunisia. A Savoir, No. 14, Agence Française de Développement, Paris. The Initiative for Smallholder Finance (no date), About, Available from: <http://www.globaldevincubator.org/initiative-incubator/current-initiatives/initiative-for-smallholder-finance/> [9 July 2015]. EcoCash 2014, EcoCash Products and Services, Available from: <https://www.econet.co.zw/ecocash/ecocash-products-and-services> [10 July 2015]. MercyCorps (no date), Agri-Fin Mobile, Available from: <http://www.mercycorps.org/research-resources/agri-fin-mobile> [10 July 2015]. Oxfam America 2013, Saving for Change: Financial inclusion and resilience for the world’s poorest people, Revised Report Summary, Oxfam America, Available from: <http://www.oxfamamerica.org/static/oa4/oxfam-america-sfc-ipa-bara-toplines.pdf> [9 July 2015]. International Institute for Environment and Development (iied) 2015, Smallholders and payments for ecosystem services, iied, London. Warrantage system, Niger. Credit, FAO. The Food and Agriculture Organisation of the United Nations (FAO) provided support to cooperatives in Niger from 2008 to 2013. During this time the FAO project helped to establish farmers associations and cooperatives, which built more than 100 warrantage warehouses. Farmers can store any end-of-season surplus produce in the secure warehouses that are owned by their cooperatives. The cooperative retains one key to the storage facility whilst the bank or microfinance institution keeps the other key. Farmers who deposit produce into the warehouse are given a loan that is negotiated by the cooperative against what is in the storage facility (known as their ‘collateral’). This allows the members to finance other household or commercial activities. By 2013 warrantge was available to more than 100,000 farmers. Typically the surplus is stored for 6 months, by which time the market price for crops is higher as the market is no longer flooded. Money from the warrantage arrangements can be used to buy inputs such as fertilisers. The project therefore also set up 264 cooperative-managed input shops. Using the shops as a base, the cooperatives ran 375 farmer field schools with 780 demonstration plots. The success of the cooperatives has spread to villages outside of the initial project area, and now more than 780 input shops exist in Niger, reaching more than half of the agricultural villages in the country. By buying better inputs, smallholders have increased yields by between 34%-120%, and incomes have increased by between 19%-113%. Sorghum yields have increased by 100%, whilst millet yields have increased by 81%. However, a particular issue with the system is that a bad harvest may result in little or no surplus, whilst in high produce seasons there may be more surplus than storage. In that case, there may also be insufficient financing available from the banks to cover all of the produce. Food and Agricultural Organisation of the United Nations (FAO) (no date), ‘Putting the right inputs in the hands of Niger;s farmers’ FAO: News Available from: < http://www.fao.org/news/story/en/item/179019/icode/> [26 June 2015]. Hernandez, E 2012, ‘Warehouse receipt systems: lessons from Niger’ Technologies and Practices for small agricultural producers, FAO, Rome, Available from: <http://teca.fao.org/technology/warehouse-receipt-systems-lessons-niger#sthash.AaooH1xG.dpuf> [26 June 2015]. Tea farmer in Kenya. Credit, G. Smith, CIAT. Equity Bank provides microfinance services via local branch offices and mobile units to more than 250,000 people in Nairobi and Kenya’s Central Province. In 1994 Equity Bank started to tailor its loan and savings products to a microfinance market by adding 2 loan products targeted at tea and dairy farmers that are secured by agribusiness contracts. The deposit base of Equity Bank grew as a result to US$ 44 million by 2003, and its outstanding loan portfolio was more than US$ 22 million. Equity Bank launched a new Bank 2000 system in 2000, aimed at customers in more remote rural areas who needed small loans. The new computerised system reduced customer turnaround time from 35 minutes to 5 minutes compared to previous manual systems, which meant the administrative time on each ‘loan dollar’ was decreased, making it a viable operation for the bank. Furthermore, Equity Bank put 2 4-wheel drive mobile banking units into action in the same year, helping them to reach more remote customers. By the end of 2003 the mobile banking units made weekly visits to 30 rural villages, serving more than 12,000 people and accounting for more than US$ 1.3 million in deposits. In 2015 Equity Bank will launch its new Eazzy 247 mobile phone banking service, which hopes to further reduce costs to both the bank and farmers. Participating farmers will pay KSh50 (US$0.5) per transaction, compared to the average bank charge of KSh200 (US$2). Pearce, D & Reinsch, M 2005, ‘Equity Building Society of Kenya Reaches Rural Markets’ CGAP Agricultural Microfinance Case Study Series, no. 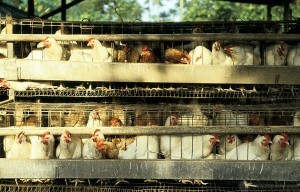 4, World Bank, Washington, D.C.
Chicken coop. credit, C. Carnemark, World Bank. Around 80% of Kenya’s 30 million inhabitants earn their livelihoods from farming. 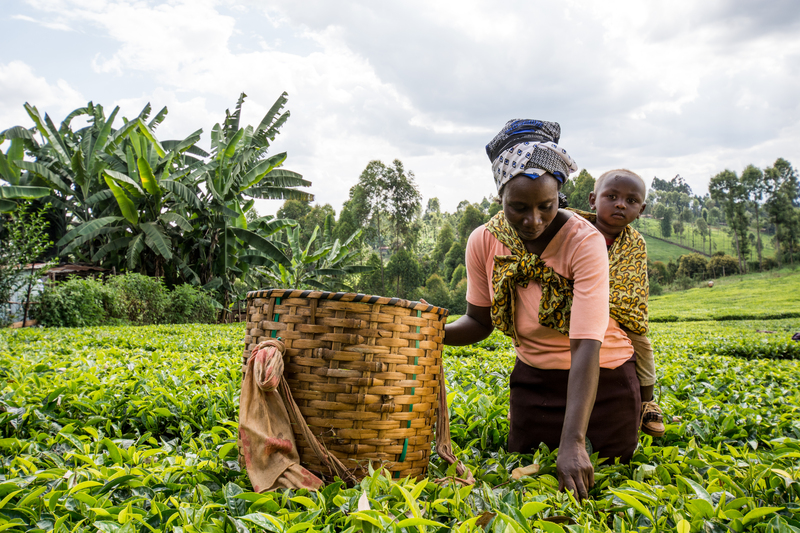 With an average farm size of less than 2.5ha, a powerful route to economic growth for Kenya’s smallholder farmers is access to productive agricultural assets. However, 36% of rural Kenyans have no access to any form of financial services, making these assets unattainable. The Juhudi Kilimo approach is tailored towards helping women and youth, and prevents recipients spiralling into debt by permitting investment in physical assets that generate income, rather than providing cash. Technical support is offered to the farmers as part of the package with information and services delivered directly and through strategic partners. Through Juhudi Kilimo, Kenyan smallholder farmers can access high-quality agricultural assets that enhance the productivity of their farms, such as irrigation equipment, chicken coops, or improved breeds of dairy cows that can produce more milk. 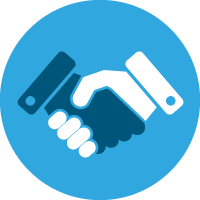 The assets are insured as part of the package, to further reduce the risk of investment, and assets are used as collateral in case of default. Juhudi Kilimo plans to increase its reach from 10,000 borrowers to more than 100,000 by the end of 2015 – aiming to improve the lives of nearly 500,000 rural Kenyans. Juhudi Kilimo (no date), Our Approach, Available from: <http://juhudikilimo.com/our-approach/> [30 June 2015]. 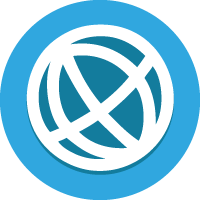 Acumen (no date), Juhudi Kilimo Available from: <http://acumen.org/investment/juhudi-kilimo/> [30 June 2015].